Today I’m prepping to present some primitive skills on Saturday, from raw materials to finished goods. I’m also getting some kid’s activities together to draw in the latest generation. 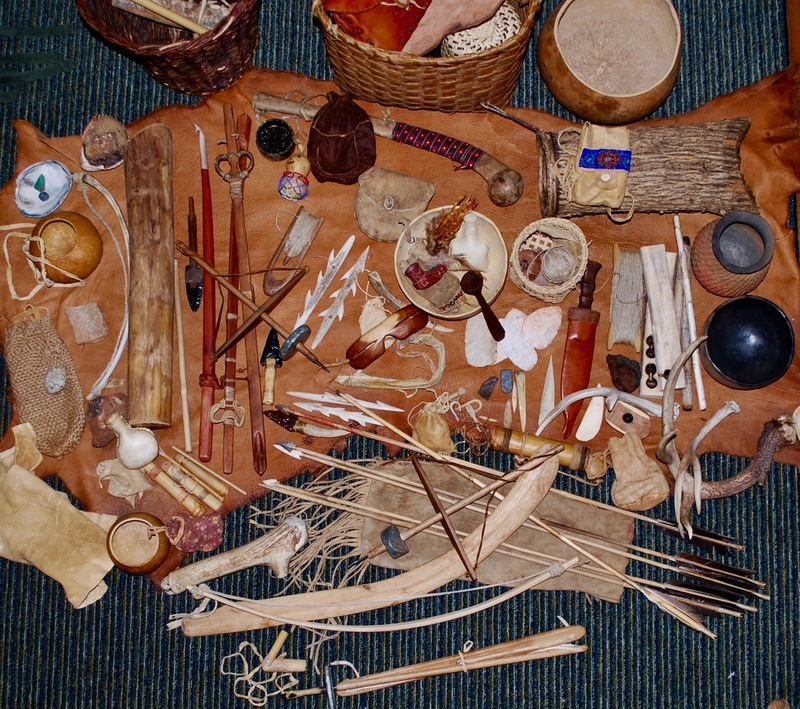 An assortment of stone-age technology laid out to take to the public. Where? Who is in your audience? I have seen you in action at events at Blackwater Draw, this is your arena.